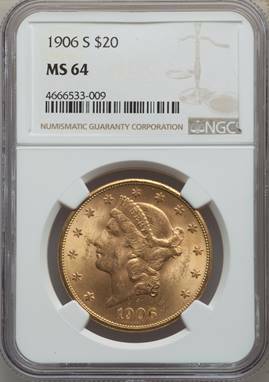 Despite the reported mintage of more than 2 million pieces, the 1906-S Liberty double eagle is a prime condition rarity once it gets to the MS65 grade level. And if you want an MS65 instead of one of these, be prepared to pay in excess of $20,000 for it. 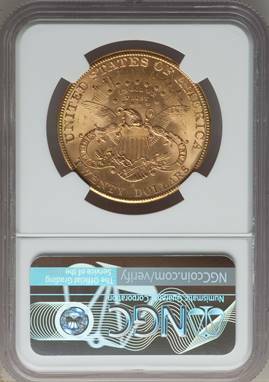 Listed at $4,000 in the CDN CPG, $4,150 in the PCGS price guide, $5,000 in the NGC price guide and $4,350 in Trends.